Home/Knowledge Base/Secure Shell/How to export MySQL database using SSH? A faster way of exporting your database is via Secure Shell. Learn how to export MySQL database using SSH by following the instructions below. Step 2. Type pwd to check your current directory. Replace cPanel_username with the correct cPanel username and directory with the correct directory name. Press Enter. Step 4. Execute the following command (no. 1 in the image below). Step 5. Enter the password (no. 2 in the image above). Your screen may not show the information so make sure that you are typing the correct information. Take note that password is case sensitive. Press Enter. Step 6. To check if the file has been successfully exported use the command(no. 3 in the image above). 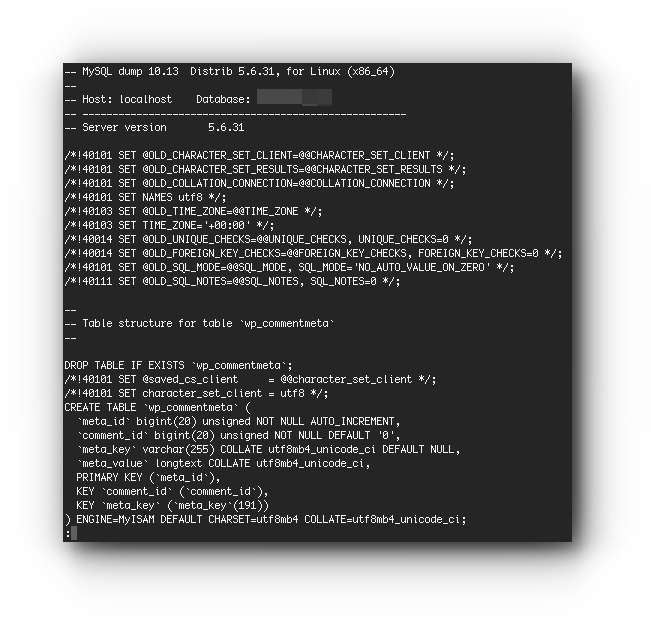 This should show you the SQL file that has been exported (no. 4 in the image above).